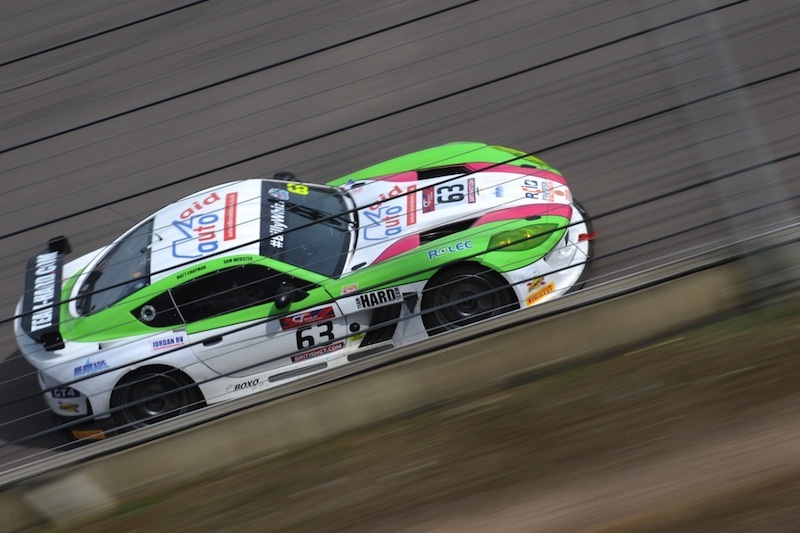 Embarking on the longest race of his career during the two-hour contest, the 17-year-old British GT rookie took the second 60-minute stint – following a very strong opening hour from team-mate Sam Webster – but retirement with 25 minutes to go put paid to any hopes of silverware. Taking over the No.63 Autoaid/RCIB Insurance Racing Ginetta G55 GT4 from fourth place, after the driver-change Chapman held third position and a rostrum visit certainly looked on the cards until an oil pressure issue with a quarter of the race to go was followed by a major steering problem. Slipping from third to fifth in GT4 as a result of the developing problems, into the final half hour Chapman couldn’t do a thing to prevent the car sliding off into the gravel at Yentwood when the steering completely failed. “It was a really unfortunate way to end the race, but there are so many positives to take away from this weekend”, said Chapman, “Our pace was great, Sam did a good job to get the car to where it was at the driver change and our pit-stop went well. I was in third and chasing down the leaders, it was all looking positive, but then I lost all steering into Yentwood with about 25 minutes to go. Chapman took the opening ‘Am’ session in qualifying and produced a terrific showing, circulating with a best lap time of 1m23.163 seconds to place fourth fastest and the second quickest of the Ginetta entries. 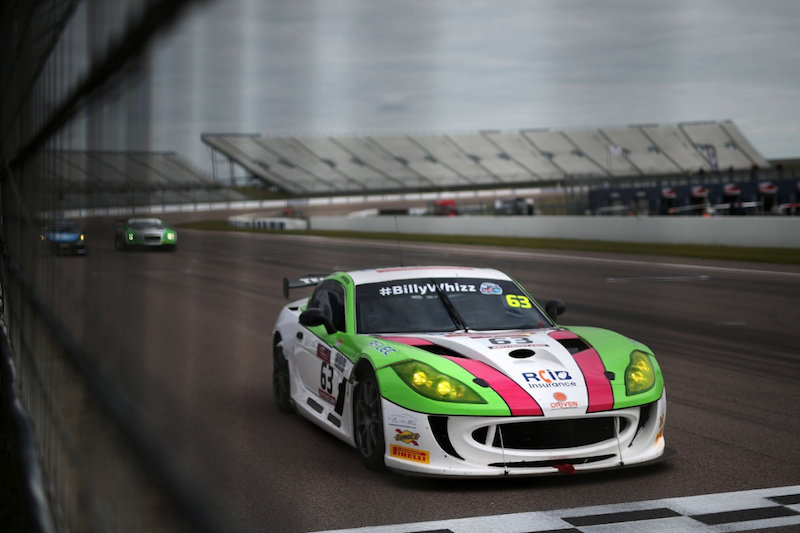 In the subsequent ‘Pro’ session, Webster produced a time of 1m23.835 seconds on his final lap of the run to deliver a combined result of fifth on the GT4 grid for round three. Webster took the first hour of Sunday’s race, maintaining position during the opening laps but slipping to sixth at the re-start on the sixth tour after a brief Safety Car period. By lap 13, he was within touching distance of Will Moore’s Aston Martin and Webster made a successful pass for fifth. When the end of the opening hour neared, the top five runners in GT4 were pretty much nose-to-tail and a true grandstand finish looked on the cards for the second half of the encounter. Webster then took fourth from Alex Reed out of Deene Hairpin on their 39th lap and soon after he pitted. Following a good driver-change, Chapman waited for the minimum pit-stop time to elapse in order to head back into the race and just as he was about to depart the pit box the GT4 leading McLaren was let out into the path of the No.63 Ginetta. Fortunately avoiding any contact, Chapman was able to get safely on his way and when the race order settled he held third in GT4. On lap 55, the youngster unfortunately lost out through traffic when 2016 champion Mike Robinson took advantage of a GT3 car lapping the pair – edging the Autoaid/RCIB car to fourth. Remaining close behind Robinson’s Ginetta, Chapman’s hopes then started to fade into the final half hour when the oil problem developed and the steering failure ultimately brought an early end to the race. Snetterton 300 Circuit in East Anglia will host the next event on the British GT Championship calendar, rounds four and five, over the weekend 27th/28th May.